We began this show with a Discussion Panel focussed on the topic of the Spring Equinox. *** (16:47:12):Welcome to the Lucky Mojo Curio Company Chat Room. 16:49:03	Papa Newt	Strange. There isn't any music while waiting for the show to begin. 16:53:25	catherine yronwode	No sound on the phone line. 16:55:21	Papa Newt	Welcome, everyone! 16:56:00	catherine yronwode	Hello, all! We are getting our horoscopic charts lined upo for display. 16:59:45	catherine yronwode	Beautiful! Thank you, William! 16:59:29	Lucky Mojo Curio Company	Music!! 16:59:45	Lucky Mojo Curio Company	Welcome to the Lucky Mojo Hoodoo Rootwork Hour! 17:00:07	Lucky Mojo Curio Company	The longest-running hoodoo radio show in the UNIVERSE! 17:00:38	Miss Reece	Hello everyone! 17:00:56	ConjureManAli	hello and welcome all! 17:01:36	catherine yronwode	Oh how i love this old song. It reminds me of sunny days in Missouri in 1974, with our old cassette player hooked upo to a truck battery., courtesy of Marc perkel, "Mr/ Fix-It." Out under the Catalpa tree, all was sweet and peaceful. 17:02:05	catherine yronwode	Nebraska is flooding! 17:02:19	Miss Athena	So glad Papa Newt is well and dry! 17:02:01	Lucky Mojo Curio Company	Bob Beerbohm! 17:02:59	SethBreedlove0	Seems like everyplace has something. California is always burning down. Chicago, where I live now had a cold vortek and a tornando warning. 17:03:37	SethBreedlove0	Ohh, Bob I'm so sorry for that. I"ve been through a Gurneville flood before. When it happens, you're not going anywhere. 17:03:45	Lucky Mojo Curio Company	Always the archivist. 17:04:53	SethBreedlove0	I know this sounds ominous but these days with climate change, you have to make sure you are insured for everything under every cirumstance,. Act of God or anything. 17:06:47	Lucky Mojo Curio Company	He'll be our guest co-host next week too! 17:07:20	Miss Reece	I've been out in my yard all day, enjoying this balmy Eastern North Carolina weather we sometimes get, and prepping for planting my garden - hoping to grow some of my own roots and herbs this year! 17:07:04	Lucky Mojo Curio Company	To welcome you and Deacon Millett next week to talk about that book! 17:07:23	Lucky Mojo Curio Company	The AMAZINGLY INTACT layout. 17:08:41	Miss Reece	Some of us work best under pressure! 17:08:30	Lucky Mojo Curio Company	Gemini Rising with Uranus one degree below the Ascendant. 17:08:47	Lucky Mojo Curio Company	I've been outdoors feeding the chickens!! 17:09:40	catherine yronwode	Lovely, Miss Reece. 17:09:51	Cousin Joshua	Looking forward to this year's apprenticeship before the festival! Can't wait for all the good books, learning, and workshops at the festival! 17:09:38	Lucky Mojo Curio Company	That's right! 17:10:12	Lucky Mojo Curio Company	I was BORN during Merc Retro, so LOVING IT! 17:10:40	Alchemical Artisans Hour	We still have feet of snow on the ground, here in Maine. Last Sunday, we had a foot of snow. 17:11:04	Lucky Mojo Curio Company	How is it in Las Vegas?!!? 17:12:08	Lucky Mojo Curio Company	Geopolitical Astrology! 17:12:48	catherine yronwode	William has been practicing Astrology since 1987. Jungian, then financial, then astrological magic, and then geo-political (mundane) and also hiorary Astrology. 17:12:28	Lucky Mojo Curio Company	Horary Astrology! 17:12:41	Lucky Mojo Curio Company	He does such readings on the air with us!! We're so lucky. 17:13:14	Lucky Mojo Curio Company	Today's Discussion Panel Topic is the Spring Equinox!!! 17:13:48	Lucky Mojo Curio Company	Computer assist to present the chart. 17:14:07	Lucky Mojo Curio Company	'Mundane'!! Worldly, earthy! 17:14:15	Lucky Mojo Curio Company	It's pragmatic! 17:14:21	Lucky Mojo Curio Company	It's effective! 17:14:28	Lucky Mojo Curio Company	It's engaged! 17:15:09	SethBreedlove0	Hmm. Never thought of it that way. 17:15:02	Lucky Mojo Curio Company	Yes! Geopolitical, geoecopolitical! 17:15:10	Lucky Mojo Curio Company	Nickel!! 17:15:20	Lucky Mojo Curio Company	Magnetic! 17:15:30	Lucky Mojo Curio Company	1 hour 14 minutes remain in our show. 17:17:23	Miss Reece	I don't "math" - hence why I taught English, lol! 17:17:28	Cousin Joshua	The definition of "multifactorial." I've always admired folks who can perform this level of analysis. 17:17:26	Lucky Mojo Curio Company	Locational or relocational astrology. 17:18:16	Lucky Mojo Curio Company	Discusson Panel Topic: the Spring Equinox! 17:19:30	Lucky Mojo Curio Company	<-- nagasiva on the studio board today. 17:20:00	Lucky Mojo Curio Company	WTG!! 17:20:49	SethBreedlove0	I couldn't keep up with all those instructions. 17:20:59	catherine yronwode	Right -- March 19th or 20th. Thanks for the correction. 17:21:26	catherine yronwode	Local time and calendar date vary due to calendrical irregularities. 17:22:03	catherine yronwode	Macro and Micro scale "weather" forecast. And this year -- it happens at the FULL MOON. 17:23:46	catherine yronwode	Jupiter in Sag. Uranus ingress in Taurus. Saturn approaching conjunction with Pluto in a yar or so. 17:26:27	catherine yronwode	Like the Devil, Death, and the Tower -- Saturn and Pluto in Capricorn! 17:27:12	Lucky Mojo Curio Company	Our first client tonight will be Ken, from Olympia WA, calling from area code 360. 17:27:32	Lucky Mojo Curio Company	1 hour 2 minutes and 3 seconds remain. 17:28:41	catherine yronwode	January 15th, 2020. Mars, Jupiter, Saturn, Pluto contact! 17:28:59	Lucky Mojo Curio Company	Visualized projection. 17:29:03	Lucky Mojo Curio Company	Projective Astrology! 17:29:54	Lucky Mojo Curio Company	Look at all those Squares! 17:31:18	catherine yronwode	Jupoter is in Sag., which it rules, a "purpose-driven mission statement." says William. 17:31:18	Lucky Mojo Curio Company	Right! 17:31:28	Lucky Mojo Curio Company	58 minutes remain. 17:31:57	Lucky Mojo Curio Company	Unconventional majors? 17:32:07	Lucky Mojo Curio Company	Yes! Embrace weirdness! 17:32:15	Lucky Mojo Curio Company	Always my harmonic. 17:32:35	Lucky Mojo Curio Company	Nice! Double-bodied signs. 17:32:42	Lucky Mojo Curio Company	Excellent. 17:33:26	Lucky Mojo Curio Company	Momentum residues. 17:33:33	Lucky Mojo Curio Company	56 minutes remain. 17:34:14	Lucky Mojo Curio Company	See the levers and potholes. 17:34:41	catherine yronwode	Jupiter-Neptune square wearing off (fading out) led to false hopes and impressions, the susceptibility to a ungrounded belief in false promises from false prophets and leaders. 17:34:29	Lucky Mojo Curio Company	'Learn to ride the weirdness.'! 17:34:47	Lucky Mojo Curio Company	Our first client tonight is Ken, calling from Olympia, WA, area code 360. 17:35:21	Lucky Mojo Curio Company	Jupiter Oil! 17:36:01	Lucky Mojo Curio Company	Talismans of goats and money! 17:36:38	catherine yronwode	Yes, ali. Double-bodied signs -- Gemini (two children), Pisces (two fishes), Sagittarius (man-horse), and Capricorn (goat-fish. Libra is two sides of a set o scales -- but the sacles is always a pair. 17:36:36	Lucky Mojo Curio Company	Bumper music is coming up! 17:37:04	Miss Reece	Forewarned is forearmed? 17:36:54	Lucky Mojo Curio Company	Bumper music is ON! 17:37:25	Miss Michaele	If your horoscope is bad, COMPENSTION is possible. 17:37:16	Lucky Mojo Curio Company	The MUSIC is ON! Client from Olympia WA, Ken coming up, area code 360. 17:38:03	Lucky Mojo Curio Company	then call (818) 394-8535 and press 1 to raise your hand to be on the show. 17:38:52	catherine yronwode	Thaks, everyone, for coming out for the show and getting in live chat with us! 17:39:02	Lucky Mojo Curio Company	I think that Papa Newt may have rewritten the sign-up situation description. 17:39:08	Lucky Mojo Curio Company	Abbreviating slightly. 17:39:43	Lucky Mojo Curio Company	Oh no, not this situation description, that's another i think. 17:39:52	Lucky Mojo Curio Company	I think this is a student of yours, Miss cat. 17:40:23	Lucky Mojo Curio Company	Happy St. Patrick's Day, Ken!! 17:41:08	catherine yronwode	Ken: Ancestor, DNA, 1760-1860, probably an African slave in a mainly British-Irish. Two percent Nigerian,, confirmed in family stories. 17:41:40	Lucky Mojo Curio Company	Appropriation tends to hit on representation; if you're connecting that's different than representing it. 17:42:02	Lucky Mojo Curio Company	For sure, Miss cat. 17:42:08	Lucky Mojo Curio Company	Oh goodness. 17:43:22	Lucky Mojo Curio Company	So common! 17:43:32	Lucky Mojo Curio Company	My Turks identified as Cherokee!! 17:43:52	Lucky Mojo Curio Company	Black Cherokee strangeness, "Black Dutch"! 17:44:19	ConjureManAli	Yes, but also rare. Let's not over state exceptions either. 17:44:30	Lucky Mojo Curio Company	Wonderful ConjureMan Ali. Sometimes genetics mapping helps. 17:44:57	Lucky Mojo Curio Company	Very interesting. 17:45:45	Lucky Mojo Curio Company	First of all clear away preconceptions. 17:46:11	Lucky Mojo Curio Company	Yes. We didn't look back, however. 17:46:17	Lucky Mojo Curio Company	Not until i met Miss cat. 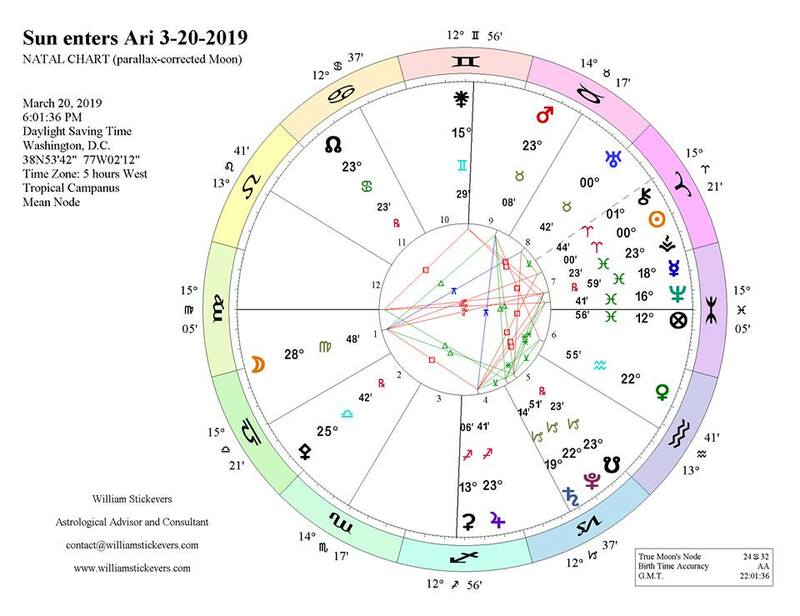 17:46:34	Lucky Mojo Curio Company	William is creating a horary reading for our client, using this immediate configuration of the planets and their relation to one another. 17:47:10	catherine yronwode	Yes, Dr. Darensbourg! 17:47:40	ConjureManAli	Feat of All Saints is good! 17:47:30	Lucky Mojo Curio Company	Yes. 17:48:19	catherine yronwode	It is mitochonfdrial DNA -- and Wiliamm finds the moon in the 12h house -- enslavement of some sort. 17:49:56	catherine yronwode	Well diagnosed. Moon separatin from Mars. A slave or former slave, lived from 1830s or 1840s onward. 17:50:25	catherine yronwode	William recommends a mediumship session with an evidential medium. 17:51:17	Lucky Mojo Curio Company	A tremendous ancestry behind her too. 17:51:27	Lucky Mojo Curio Company	38 minutes remain in our show. 17:52:13	catherine yronwode	Mother ancestry, and then her mother and mother's mother .. back to Mother Africa. 17:52:55	Lucky Mojo Curio Company	Our second client will be a return caller from Paris France! Forgiveness calling from +33 international. 17:54:00	catherine yronwode	Ali says that not all ancestors get along. Start with a separate altar for her, white candle, water in a white tea cup or mug, burn candle on holder on white plate. Tobaco as an offering on charcoal. 17:54:22	catherine yronwode	And Althaea and a Spirit Guide Oil -- a few drops. 17:54:55	Lucky Mojo Curio Company	Lace and ribbons impression. 17:55:25	catherine yronwode	Dedicate this to the elevation of this ancestor, and ask if she wants to work with you. Keep a dream diary. Ali sees lace and ribbons, a doily. 17:55:35	Lucky Mojo Curio Company	May try to forge connections with family and get family photos connecting more firmly to her. 17:56:33	Miss Michaele	If you enjoy celery seed (as I do), get a supply to cook with and pray over it for psychic perception. 17:56:29	Lucky Mojo Curio Company	33 minutes remain in our show. 17:56:42	Lucky Mojo Curio Company	It will take several months. 17:57:14	catherine yronwode	Develop Psychic Vision -- add a drop of that to the incense as well, anoint candles with it as well. This will take time, says Ali. It will take several months. "She is present but cautious." 17:57:34	Lucky Mojo Curio Company	Bumper music is coming up! 17:58:11	Lucky Mojo Curio Company	Client is muted, moving on to next client, MUSIC is ON. 17:58:38	Lucky Mojo Curio Company	Dr Darensbourg is in our chat! 18:00:01	catherine yronwode	Dr Darensbourg is extremely knowledgable and practiced in these issues of history and ancestry. 17:59:51	Lucky Mojo Curio Company	Bareless hear her, her time is like 1am or something. 18:00:15	Lucky Mojo Curio Company	Ah that was the one. 18:00:38	Lucky Mojo Curio Company	I created a fake profile to talk to people for fun but by doing so I feel in love with a guy. 18:00:47	Lucky Mojo Curio Company	We spent much time talking on the phone and texting but I never revealed the truth to him. He found out and has stop talking to me. 18:00:54	Lucky Mojo Curio Company	I am upset, feeling humiliated, rejected, and suicidal. Can this ever be fixed and will we be able to reconcile?" 18:01:06	Lucky Mojo Curio Company	He's a Pisces. 18:02:10	Lucky Mojo Curio Company	27 minutes and 20 seconds remain in our show. 18:02:53	Lucky Mojo Curio Company	Thank you ConjureMan Ali. 18:03:11	Lucky Mojo Curio Company	Support is invaluable. 18:04:28	catherine yronwode	... er suicidal ideation. Ali says get mental health help first, before magical readings or undertaking spell-work. 18:04:04	Lucky Mojo Curio Company	Excellent. 18:05:03	catherine yronwode	Ali asks her to promise to seek mental health support. She says, "mmm-hmmm." Not a "yes." 18:04:53	Lucky Mojo Curio Company	ConjureManAli is using a 'Smith-Waite' or 'Rider-Waite' Tarot deck created by Pamela Colman Smith in coordination with Arthur E. Waite and published by the Rider Company. 18:05:34	catherine yronwode	Ali recalls our first reading for her, about the hurt he feels and why he did not reconcile permanently. 18:05:10	Lucky Mojo Curio Company	ConjureMan Ali has also constructed a Geomantic reading, from the ancient Middle Eastern discipline stemming from sand or earth divination, called 'Raml'. 18:05:56	catherine yronwode	Ali's geomancy: Tristia -- sadness. Fist house. Deal with your sorrow first. 18:05:36	Lucky Mojo Curio Company	24 minutes remain. 18:06:06	catherine yronwode	Sorry, tristitia. 18:06:21	Lucky Mojo Curio Company	Like a cat's abscess. 18:06:54	catherine yronwode	The overturned cup, Rubeaus, for him, he is hurt, the water poured out of the cup, and he feels his hurt deeply. 18:07:46	catherine yronwode	No connection between Tristitia and Rubeus -- you will not reconcile, but each will heal separately. 18:07:32	Lucky Mojo Curio Company	The Path of Letting Go is available. 18:07:59	Lucky Mojo Curio Company	Such a strong message in the reading. 18:08:50	catherine yronwode	Ali says, combining Tristia and Rubeus and getting "the result of the result" is the figue of Via -- the road o way -- move onward and he will move onward as well. You need an ally, a mental health therapist. 18:08:25	Lucky Mojo Curio Company	Assistance necesary; ally, therapist, help. 18:09:24	Lucky Mojo Curio Company	Malefic houses. 18:10:19	Lucky Mojo Curio Company	The relationship is a catalyst. 18:11:17	CaliMojogirl0	I'm glad both Conjureman Ali and Mr. Stickevers are well-versed in trauma and crisis management. I could tell by the way they handled this call. 18:10:57	Lucky Mojo Curio Company	The struggle of transformation is at hand. 18:11:57	CaliMojogirl0	When someone says, "I feel suicidal" it is a serious red flag. 18:12:16	catherine yronwode	... says that the break-up catalyzed her own spiritual crisis of transformation. The future is not with him, but the way out of your current suffering is to work on your own false beliefs about your future. 18:12:31	Dr Darensbourg	I like doing my own readings along with the hosts/co-hosts. It's amazing just how aligned all of this is with what I'm looking at as well. There is so much waiting for her on the other side of "through". 18:12:06	Lucky Mojo Curio Company	Your future depends on your work on yourself. 18:12:28	Lucky Mojo Curio Company	Diet and physical health needs supplement. 18:12:40	Lucky Mojo Curio Company	Just under 17 minutes remain. 18:13:14	catherine yronwode	illiam advises that she take Magnesium supplement, and seek the advice of a health care pofessional. 18:13:45	CaliMojogirl0	Dr Darensbourg, what reading method did you use? I love to compare notes. 18:13:31	Lucky Mojo Curio Company	Not only that, it is your difficulty which needs addressing, the relationship is a side-issue. 18:13:55	Lucky Mojo Curio Company	It indicates you need assistance to move past it. 18:14:21	Lucky Mojo Curio Company	Yes. 18:15:15	Lucky Mojo Curio Company	Yes. It's a tragic situation. 18:15:29	Lucky Mojo Curio Company	14 minutes remain. 18:16:04	CaliMojogirl0	Once in a while, you get very serious calls like this. 18:16:47	astrologynewsnetwork	She deserves love, and there is a lot more love for her beyond this guy. 18:16:58	CaliMojogirl0	I think I remember a Paris call a few months ago, about same thing...? Same caller? 18:16:33	Lucky Mojo Curio Company	Stability, protection. 18:17:10	Dr Darensbourg	She must forgive herself first. 18:17:25	CaliMojogirl0	Thought so, thanks. 18:17:01	Lucky Mojo Curio Company	Our next segment is our Network Schedule Announcement. 18:17:35	Lucky Mojo Curio Company	Bumper music is coming up! 18:18:18	Miss Michaele	Miss cat: "We'll be here as long as you need us," and/but we are NOT your only allies, Forgiveness. 18:17:53	Lucky Mojo Curio Company	Bumper music is ON! 18:18:11	Lucky Mojo Curio Company	Our network schedule announcement is up next. 18:18:19	Lucky Mojo Curio Company	MUSIC is on. 18:18:55	Cousin Joshua	Listening to y'all is a master class in helping, compassion, clarity, and focus. Thank you..
18:18:53	Lucky Mojo Curio Company	Agreed, Cousin Joshua. 18:19:11	Lucky Mojo Curio Company	Next up: Papa Newt will bring on our Free Spell from William Stickevers! 18:19:43	catherine yronwode	CaliMojogirl0 -- me too. 18:19:56	catherine yronwode	FREE SPELL! 18:20:00	miss red 609	So true Cousin Joshua. 18:20:10	Lucky Mojo Curio Company	Between now and December 2019. 18:23:26	catherine yronwode	Thanks, siva! 18:23:36	CaliMojogirl0	This is a cool talismanic spell. 18:23:49	Lucky Mojo Curio Company	I'll add the whole spell to the end of the chat log! 18:24:08	Lucky Mojo Curio Company	Betting! 18:25:00	Cousin Joshua	His work is so well organized. It's like he's an astrologer or something...! 18:25:08	ConjureManAli	Psalm 112 is associated with this particular Seal of Solomon, inscribed on it. 18:25:23	CaliMojogirl0	He's like a businessman-magician. 18:25:34	angelael	How do you figure out the day and hour of Jupiter of where you live? 18:26:19	catherine yronwode	angelael -- This information can be found online at the URL that nagasiva gave above. 18:26:22	Lucky Mojo Curio Company	End music coming up! 18:26:36	Lucky Mojo Curio Company	End music is ON! 18:26:56	Lucky Mojo Curio Company	MUSIC is on, fyi. 18:27:26	CaliMojogirl0	This show is too short! 18:27:48	Dr Darensbourg	That'ol devil was telling me, "keith, you're too sleepy to log on".. so glad I said Get thee behind me! 18:28:43	Miss Athena	Readers are booking up fast! 18:28:24	Lucky Mojo Curio Company	1 minute remains!! 18:28:42	Lucky Mojo Curio Company	2 2! 18:29:04	Lucky Mojo Curio Company	"Secrets of the Crystal Silence League" by Claude Alexander Conlin!! 18:29:35	miss red 609	whre is link to archives? 18:29:35	catherine yronwode	Uh-oh, sorry about that IF not Lunarium -- what is it? 18:29:38	Cousin Joshua	Go Papa Newt!!! WOW! 18:30:09	Miss Reece	Good night!! 18:30:10	Miss Michaele	WOW! Papa Newt is crystal clear at the speed of light! 18:30:11	catherine yronwode	AHA. It is a British! site. Thank you, Rev Ja,es! 18:30:24	catherine yronwode	Papa Newt wins by a nose! 18:30:33	Cousin Joshua	Good Night, y'all! 18:31:35	catherine yronwode	If we go over the show cuts out, Dr. D -- and that is a no-no! 18:31:48	catherine yronwode	Siva .... ? 18:32:08	catherine yronwode	There you are! 18:31:45	Lucky Mojo Curio Company	then call (818) 394-8535 and press 1 to raise your hand to be on the show. 18:32:11	Lucky Mojo Curio Company	the Lucky Mojo forum http://forum.luckymojo.com Look for the proper thread in the forum you visit and post your questions there. 18:32:32	Lucky Mojo Curio Company	If they go over then nagasiva sets it to 120 minutes instead and then mutes us just after we finish. 18:32:59	Papa Newt	Have a great evening everyone! 18:32:39	Lucky Mojo Curio Company	Thanks Papa Newt!!! 18:33:25	Papa Newt	You're welcome. 18:33:03	Lucky Mojo Curio Company	The chat log will be posted tonight at the Lucky Mojo Forum and announced in Facebook after the promotional posts. 18:33:10	Lucky Mojo Curio Company	Thankls for coming out to the show, y'all! 18:33:15	Lucky Mojo Curio Company	It was a blast!! 18:33:29	Lucky Mojo Curio Company	Luck of the Irish to ya!! 18:33:49	Lucky Mojo Curio Company	Today's sign-up thread locked. 18:34:13	Lucky Mojo Curio Company	I can provide you with an address if you like. 18:34:25	Lucky Mojo Curio Company	There ya go. 18:34:35	Lucky Mojo Curio Company	You can contact me there. 18:35:26	catherine yronwode	Next week i will be a guest, and the topic will be our new book, "Secrets of the Crystal Silence League" -- and i hope my co-editor Deacon Millett will join us ,as well as Jon Saint Germain, the Voice of the Crystal Silence League. 18:35:29	Lucky Mojo Curio Company	Yes, Rev Dr Jon Saint Germain will be our eminent guest co-host! 18:35:48	Lucky Mojo Curio Company	Log capture commenceth. 18:35:48	Lucky Mojo Curio Company	Jupiter's Sojourn in Sagittarius, between now (March 19th) until December 2019, is a bonanza for magical practitioners. For Jupiter is dignified in Sagittarius, providing the necessary strength and power to energize any magical operation proper to it. As the Greater Benefic, Jupiter is appropriate for a wide variety of Hoodoo spell work which aim to increase wealth, generosity, opportunity, health and good fortune. For Jupiter�'s time in Sagittarius is also an ideal period for the attainment of Jovian virtues, such as confidence, broadmindedness, generosity, tolerance, nobility optimism, and wisdom. Therefore it would be most efficacious to create a Jupiter talisman based on 2nd Seal of Solomon to acquire glory, honors, riches, tranquility of mind, and to discover wealth and treasure. 18:35:48	Lucky Mojo Curio Company	The Seals of Solomon are magical talismans attributed to the biblical King Solomon. According to tradition they are purported to be extraordinarily powerful in ceremonial talismanic magick, by many different magical practitioners. To utilize the seals, print a copy of the 2nd Seal of Jupiter on clean, unused paper with a printer on the Day and Hour of Jupiter. One you have the image printed, light the Jupiter Incense and cut the Seal out of the paper. Write your name on the reverse side of the Seal three times in a row. Write a keyword or phrase e.g. “Success, Glory, Honor and Riches” around the name in a perfect circle so that all letters connect in one line and without lifting your pencil from the paper while writing the statement. 18:35:48	Lucky Mojo Curio Company	Hold the 2nd Seal of Jupiter paper several inches above the smoking incense to properly suffumigate the talisman for several minutes. During this process, focus on your goal to the exclusion of everything else as you continue to smoke the talisman. After suffumigation of the seal, recite Psalm 112:3: "Wealth and riches be in his house, and his righteousness endureth forever." 18:35:48	Lucky Mojo Curio Company	Our prayers and expiations, king divine, for all things round thy head exalted shine. 18:35:48	Lucky Mojo Curio Company	The earth is thine, and mountains swelling high, the sea profound, and all within the sky. 18:35:48	Lucky Mojo Curio Company	Even Nature trembles at thy mighty nod, loud-sounding, armed with lightening, thundering God. 18:35:48	Lucky Mojo Curio Company	Propitious hear my prayer, give blameless health, with peace divine, and necessary wealth! 18:35:48	Lucky Mojo Curio Company	Fold the seal toward oneself, turn it clockwise ninety-degrees and fold it toward oneself again. Repeat this process until one can no longer fold the paper then place the seal in the Mojo bag. 18:35:48	Lucky Mojo Curio Company	Add Nutmeg, Cinnamon, Agrimony, Dandelion Root, Irish Moss, and Bayberry Root to mojo bag, then dress the bag with 4 drops of Jupiter Oil, and recited 23rd Psalm. 18:35:48	Lucky Mojo Curio Company	Note: Planetary hours change based on location and time of year, and can be calculated online or through a number of apps, such as Time Nomad, which is free for iPhone. Vanity project and that$$ could be betterspent?Would I be wasting my money OR can I make money doing this? Appreciate your advice!! ! I created a fake profile to talk to people for fun but by doing so I feel in love with a guy. We spent much time talking on the phone and texting but I never revealed the truth to him. He found out and has stop talking to me. I am upset, feeling humiliated, rejected, and suicidal. Can this ever be fixed and will we be able to reconcile? Last edited by Papa Newt on Sun Mar 17, 2019 2:22 pm, edited 1 time in total. 3) Your history with the radio show: Love it! Listen to it a lot. I have an ancestor that I have identified both with a genetic test and general family rumor, who originated in Nigeria. I am otherwise majority British/Irish. What is the best way to make contact with this ancestor, and how should I address this ancestor since I don't know have a name? This individual was likely a slave (genetic testing has placed this person between 1760 and 1860) and I want to respect and acknowledge that part of my ancestry without also being offensive or appropriative. 7) On what date will you be in the radio show queue? 3/17. I’ve been seeing someone who contacted me 14 months ago, he lost the mother of his child through childbirth, I feel her spirit in the home when I watch the baby. Although he pursued me, communication has been complicated, however I’ve been very supportive as a friend (cook, clean, babysit, listen to his issues). I’ve bonded w/ his daughter since she was 3 months old & developed a relationship w/ him. Sometimes I hear from him and sometimes I don’t, I’d like to know if there’s a future with him.